I was sedentary for the first, oh, 20 years of my life. My only exercise was lugging my backpack, dense as a neutron star, from class to class because I was too lazy to make the detour to my locker. I had back pain. Good lord did I have back pain, and it was ever so mysterious. 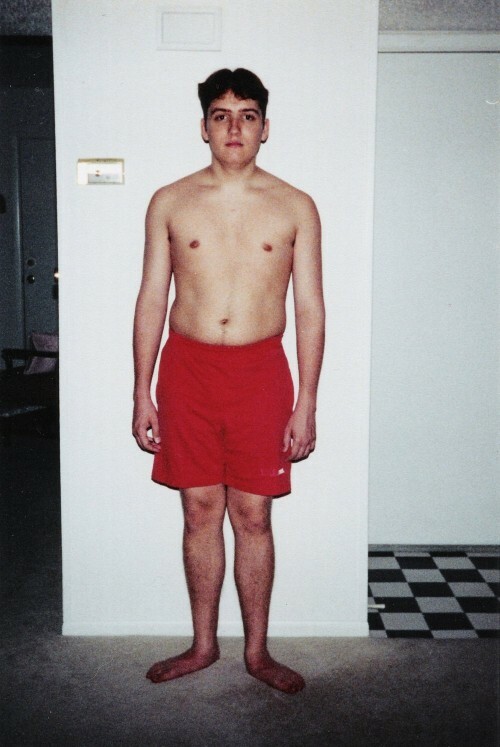 That’s me about 15 years ago, taking a “before” picture (I think I was planning to start lifting weights… didn’t happen). Please realize that I thought I was in a completely neutral stance, feet even, shoulders relaxed, etc., and please notice how completely I failed. One foot was forward, one hip was hiked, one arm was rotated inward, and my entire torso was displaced 2 inches to the left. Our bodies do the best they can with the stimulus that we give them. While our brains have access to a ton of information, the body will get limited cues, such as “needs to walk short distances,” “needs to sit for long periods,” and “needs to occasionally haul heavy loads.” Based upon these inputs, our bodies adapt. Mine had decided that I needed to be shaped a certain way to meet the needs of playing lots of lots of video games. ... continue reading.